After 10 years since a main game in the series, Capcom released Devil May Cry 5 and it seems the anticipation boded well for its return, as they announced it shipped 2 million copies just in its first two weeks of release. 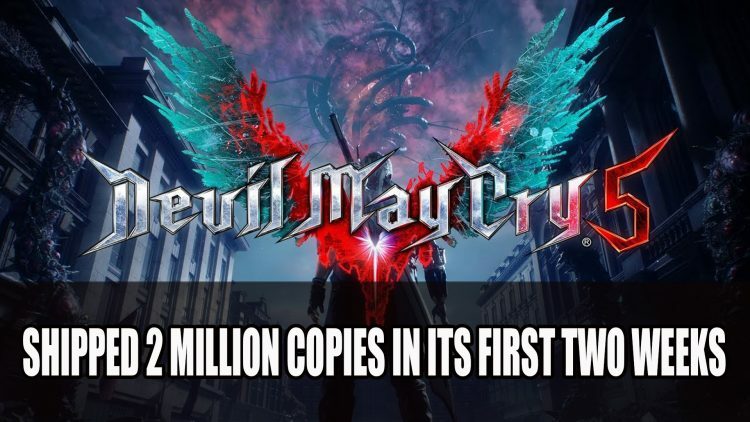 Developer and publisher Capcom shared their success of their latest action game Devil May Cry 5 which snagged a cool 2 million in units shipped in its first two weeks of launch earlier this month. For a franchise that hasn’t been active in over a decade, this is great news. It was just this month we got next that the DMC 5 journey is not over yet, as a free DLC update will be joining on April 1st. This new mode Bloody Palace will pit players against waves of enemies as they fight against the clock to survive. You can also get your blood pumping outside of the game by listening to the soundtrack which is now available on Spotify as well as for digital purchase. Devil May Cry 5 is available to play on Playstation 4, Xbox One and PC. If you’re currently fighting your way through demons be sure to check out our DMC5 guides in Devil May Cry 5 All Bosses Guide, Devil May Cry 5 All Enemies Guide and Devil May Cry 5 All Weapons Guide. If you want to know what we thought of the title you can find it here in Devil May Cry 5 Review: Ssstylish Perfection. The terminology seems somewhat akward. After all, for digital copies you aren’t "shipping" anything, yet if they only included games actually sold they probably wouldn’t have hit the big "2 million" number as a significant portion are likely still sitting on retailers shelves or in e-tailers wherehouses.